Using LinkedIn to connect with professionals and companies can be a great strategy for certain professions. Requesting introductions to hard-to-reach individuals is one such strategy. 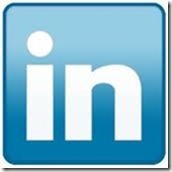 If you have the free version of LinkedIn, you may only request 5 introductions per month. The paid LinkedIn Plans are 15, 25 and 35 introductions per month respectively, as the price increases. Find the person to whom you want to be introduced – you can do a LinkedIn search or go to the Profile of one of your connections that you know is connected to this person, click on that person’s connections and scroll till you see the person you’re looking for. This is the message that will be sent to the person you are requesting the introduction from. There are several things to select and fill in on this page. You can include your email and phone number. You will want to choose from the Categories drop-down menu to indicate why you are seeking this introduction. There is also a text box for a message to the person you are requesting the introduction from and another text box where you can write a message to the person with whom you are seeking the connection. Compose your message carefully. Be succinct. Don’t make the recipient read a long pitch or description. If you take up too much of their time or give them a hard sell they will be less likely to accept a connection to you. Remember – write your intro in a way that describes what they might get out of it. Don’t try to sell them your services! You are merely connecting. This is the beginning of the relationship not the marriage proposal! Write your message. Go do something else for a few minutes or hours. Reread what you wrote and edit accordingly. The LinkedIn paid plans offer additional ways to contact people. The features change on a regular basis so check the LinkedIn site for details and pricing. Thanks for this helpful tutorial. As a relative newcomer to LinkedIn, I was wondering how people get to have so many contacts compared to my single digit number!